We welcome you, your family and friends to come and enjoy authentic Italian food prepared today as it were prepared throughout the generations. We serve both lunch and dinner throughout the week. Brothers Angelo Di Biasi and Ralph Di Biasi have owned several successful and community-adored restaurants over the years. From small comforting pizza shops to larger scale Italian and Mediterranean cuisine, their skill and knowledge of good food, savvy business sense and friendly demeanor has fostered many loyal followers. Enjoy incredible dishes in a casual atmosphere. Browse our store featuring over 300 authentic Italian products from sauces to pastas, as well as specialty items you thought you could only find in Italy. You can also enjoy our delicacies in your own home, office, or at any private party. The Italian Market provides complete catering services from our menu. If you’re planning a corporate meeting, birthday, anniversary, holiday party, or any other special event, let us do the cooking. Kristen Cauble-Morse, International Fine Artist, is currently offering a wide range of products that are individually designed and painted, each piece has a protective clear coat applied to resist weathering during outdoor display. Check out her Scarves and Tees. She also offers painting classes, and holds Painting with Wine and Painting Events at your location. Seaworthy Small Ships’ models are more than just toy boats — THEY REALLY SAIL. Inspired by years of experience with model boat builders, we have developed a unique fleet of handcrafted, free sailing, wooden model boat kits. Kids, adults and families love our boats. Building, sailing and collecting these classic model boats is a hobby everyone enjoys. Tony Whitfield, a contemporary jazz artist, professional and entrepreneur of his own label, OASA Records, has his eyes on the prize. 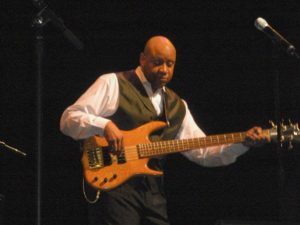 This masterful five-string bass guitarist writes, arranges, and produces music for all instruments; now that’s TALENT.